This quote, from a recent article in Outside Magazine, describes Alastair Humphrey’s no-excuse approach to embarking on a microadventure, which he defines as an adventure that is “close to home, cheap, simple, short and yet very effective”. Named in 2012 as a National Geographic Adventurer of the Year, for his pioneering work on this concept of microadventures, Alastair encourages people to set aside the mundane constraints of every day life to seek the spirit, challenge and reward of big adventures, on a small (and therefore achievable) scale. He claims this is as simple as going somewhere you have never been before to “climb a hill, jump in a river, sleep under the stars”. Eastern Sydney is bound by a stunning coastline, beyond which lies the glittering Pacific Ocean. Witnessing the sun rise over the distant horizon is nothing short of breath-taking, and the colours, light and intensity of the arrival of that golden ball of fire varies daily. You are spoilt for choice when it comes to vantage points, whether it be from Sydney’s towering cliffs, sandy beaches or rocky headlands. Make sure you check what time the sun rises and then head to one of these top spots: Manly beach (for the proximity of ocean-front cafes at which to have a leisurely breakfast at afterwards); the Gap (for the adrenaline rush that comes from perching on one of Sydney’s tallest and most dramatic cliffs); or the headland between Gordons Bay and Clovelly beach in Sydney’s eastern suburbs (for the convenience of being able to drive your car to the end of Victory St and almost to the water’s edge). Pros: You can fit in this microadventure before work. Cockatoo Island, located at the confluence of the Lane Cove and Parramatta River, is the largest island in Sydney Harbour. It’s rich and varied history dates back to the 1830s, when Governor Sir George Gipps selected Cockatoo Island as the site for a new penal establishment to ease crowding on Norfolk Island. Since then, Cockatoo Island has supported prison barracks, official residences, workshops, an Industrial School for Girls and a reformatory, and a Commonwealth Naval Dockyard (it became the major shipbuilding and dockyard facility for the South West Pacific between 1930 and 1945). 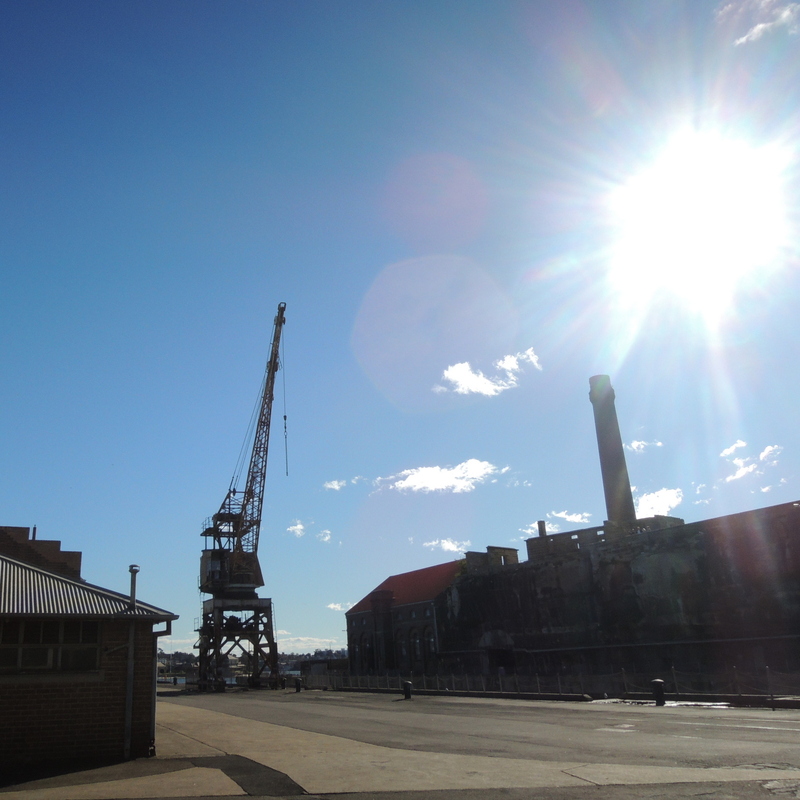 In 1992 the dockyard was closed and after extensive remediation works, Cockatoo Island was opened to the public in 2007. In 2010, Cockatoo Island was inscribed on the UNESCO World Heritage List, as one of 11 Australian convict sites that constitutes an “outstanding and large-scale example of the forced migration of convicts, who were condemned to transportation to distant colonies of the British Empire”. It’s well-worth a visit to this fascinating island, if only to wander amongst the diversity of historic buildings, admire the views of the surrounding harbour and enjoy a drink or two at the Island Bar. But if you can spare the time, why not stay the night? Cockatoo Island offers a range of camping options, from unpowered sites (bring your own tent, gear and food) to glamping (sleep in a pre-erected tent and just bring your own gourmet goodies). Cons: Requires forward-planning to ensure availability and an outlay of $89 (Monday-Thursday)/$99 (Friday-Sunday) per tent, or $45/$50 for an un-powered campsite. The foreshores of Sydney Harbour are lined with walking trails and many are easily accessible by public transport. Admire spectacular views, gawk at the opulent waterfront mansions, or take in the bustling boat activity of the harbour as you wind your way along the foreshore. Jump on a ferry at Circular Quay and head to Taronga Zoo Wharf (and walk to Chowder Bay) or Watsons Bay (and walk to Hornby Lighthouse at South Head). Alternatively, catch a train to Waverton (and walk the loop track around Balls Head Reserve) or Milsons Point (and walk to King George St in Lavender Bay via the track that skirts Luna Park). 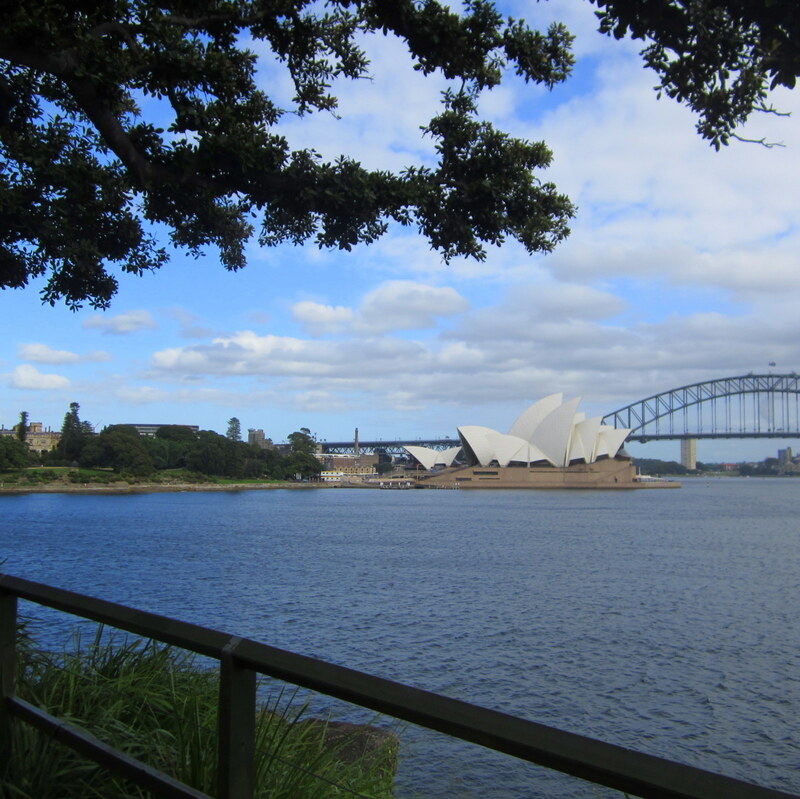 The most accessible trail of all is that between Circular Quay and Wooloomooloo, via the Opera House, Botanic Gardens and Lady Macquarie’s Chair. Plan your trip using public transport here. Pros: Easy terrain, short distances and proximity to transport makes this a viable mid-week or a quick weekend microadventure. Cons: Check what transport is available at the end of your trail. Some back-tracking may be required to get back to a transport hub. Hire a kayak from the Spit and explore Sydney Harbour from the water. 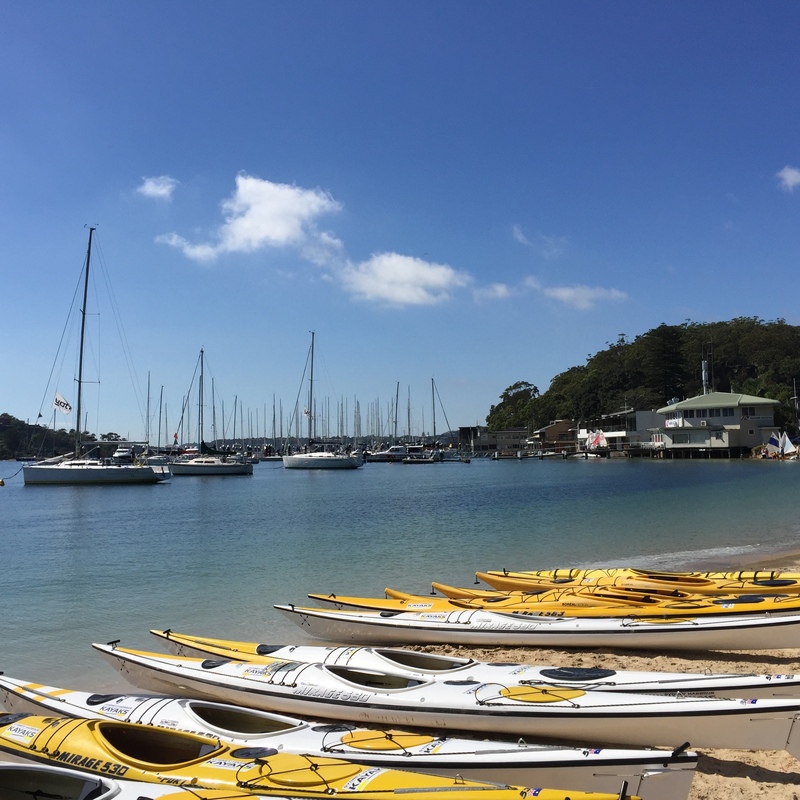 You can either follow the southern shore of Middle Harbour and head towards Balmoral Beach, where you can pull your kayak up onto the sand, have a swim, enjoy your pre-packed picnic or grab some fish and chips from across the road. Alternatively, keep paddling past Balmoral and loop back along the northern shore, pulling in at Clontarf. Here you’ll find more swimming and picnicking opportunities, and a kiosk. Make sure you pack a hat, sunscreen and water; you’ll be quite exposed on the open water. Pros: There’s hardly a better way to see the harbour than from the water, and when you start to get warm from all the paddling, you’re surrounded by the solution to cool down. Cons: A little forward-planning is required to ensure kayak availability. Kayak hire starts at $20 per single kayak, per hour. Shark Island, a tiny island just 250 metres long and 100 metres wide, is located in the middle of Sydney Harbour and just over one kilometre north of Rose Bay in Sydney’s eastern suburbs. Access to the island is provided by NPWS licensed transport operators only, or under your own steam if you hire a kayak from Rose Bay. Either way, you will need to ensure you have arranged the $7 per person landing fee. 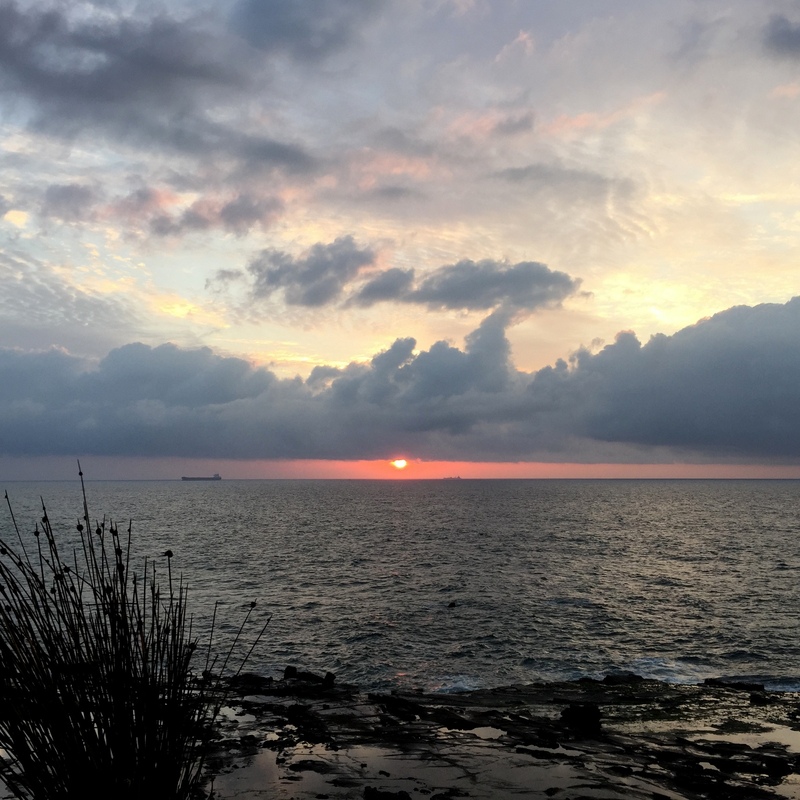 Once you’re on the island, take your time to explore the rocky foreshore, swim at the sandy beach and watch countless boats pass you by, from sailboats and luxury yachts to ferries, cruise ships and tankers. Choose from rolling lawns, a picnic shelter or the gazebo to unpack your picnic and laze away the afternoon. Good luck finding the motivation to go home. Cons: Requires a little forward-planning with regard to arranging transport and the landing fee. You’ll need to bring all food and water: the only facilities you’ll find on this island are some picnic tables and toilets. 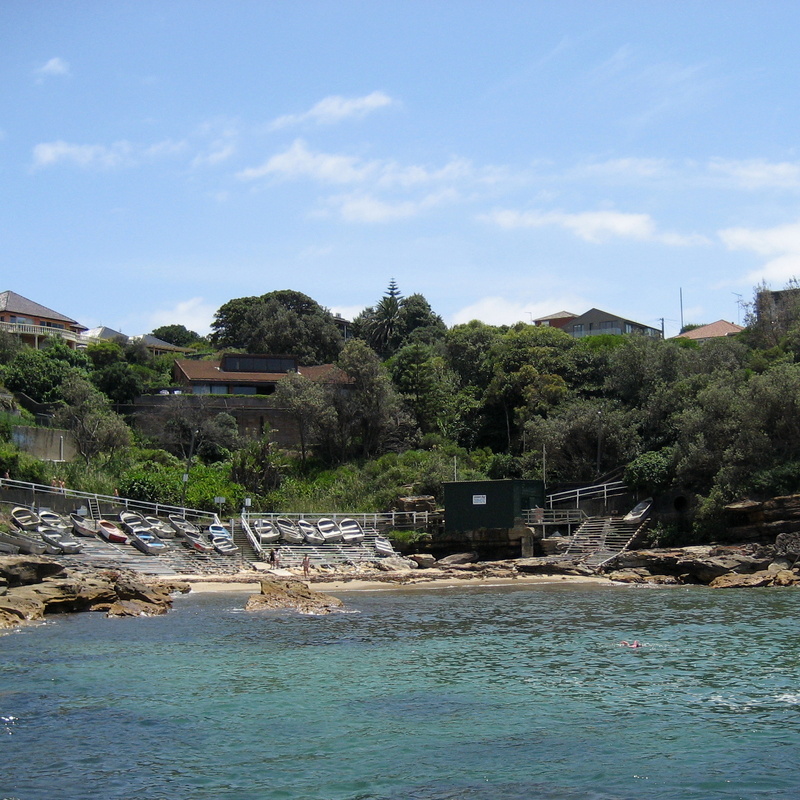 One of the great snorkelling spots in Sydney, Gordons Bay is equally popular with swimmers, scuba divers and paddleboarders. 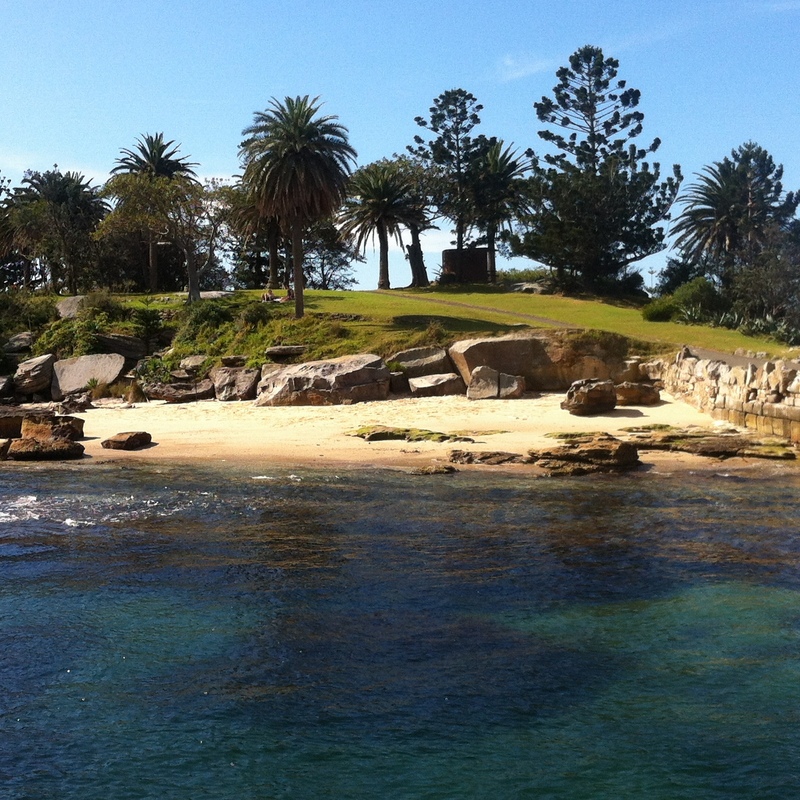 Walk from Coogee Beach via the clifftop track, or from the carpark on the Clovelly headland at the end of Victory St. The best entry spots for snorkelers are from the paved footpath on the northern side of the bay (close to the car park) or near the rowboats stored along the eastern side. The southern side of this horseshoe-shaped bay is bound by sheer cliffs. Forming part of the Bronte-Coogee Aquatic Reserve, Gordons Bay (and its rocky wall drop-off in particular) is home to a plethora of marine life, including gropers, weedy sea dragons, Port Jackson and Wobbegong sharks (both generally harmless), cuttlefish, anemones, urchins, starfish and sea slugs. Divers will likely see the most animals, via the 500 metre underwater nature trail, but having snorkelled here more times than I can count, I have never left without having seen something incredible; the curious gropers are my favourite. Pros: Head to nearby Clovelly Hotel for a well-deserved beverage afterwards; snorkelling is thirsty work. Cons: Gordons Bay can resemble a washing machine in big swells. Check the local surf report before you head out. 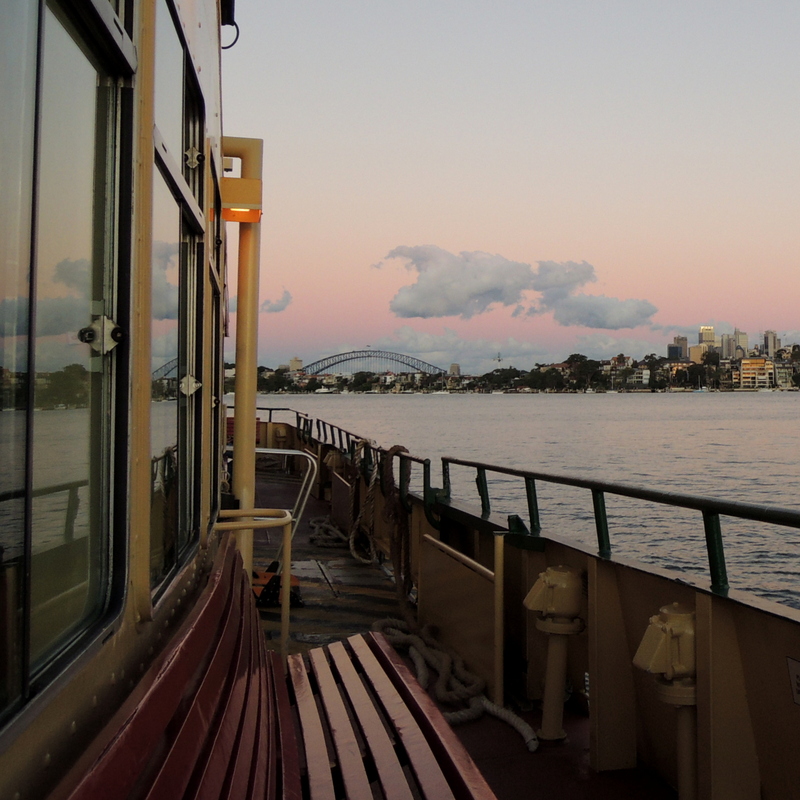 Perhaps you’re one of the lucky few that commutes to work daily on one of Sydney’s Ferries. For everyone else, you might find a trip on a ferry is a temporary escape from the daily grind. Circular Quay is best for bus and train connections, and from here you can take a ferry anywhere; past the heads to Manly, up the Parramatta River, to Rose Bay or Watsons Bay in the eastern suburbs or Woolwich or Mosman on the lower north shore. Enjoy a different perspective of Sydney; the many bays and inlets, the pocket parks and foreshore forests, rocky shores and sandy beaches, all amongst the ever-growing urban development of Sydney’s harbourside suburbs. Cons: You’re probably in for a two-way trip, given you’ve just taken a random trip to nowhere in particular. Is that such a bad thing though?